This is one of those posts that helps me think about the incredible range of farmers — Suzie Wilde met her farmer in the Chihuahan Desert and hasn’t looked back and Justine Kougl and her husband have been ranching in South Dakota but the recently decided to expand into Montana! Having been to both of those places, I have to tell you they are RADICALLY different! 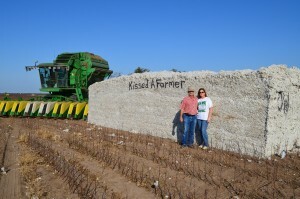 Daniel and Suzie Wilde farm cotton in Texas — San Angelo to be specific — and she blogs as Kissed a Farmer which brings her to the post on the letter K! On our farms, King Cotton reigns. Daniel is a dryland cotton farmer. This means that we have no irrigation on our farms. We rotate our farms with wheat every 2 to 4 years, depending on the moisture situation, which we believe keeps our soil in top condition for raising cotton. A very unique thing about our farming operation is that we farm on the edge of the largest desert in North America, the Chihuahuan Desert. There are a couple of counties to the West that are closer to the actual edge, but on the map, you can see just how the desert is encroaching on us. Since we don’t have irrigation on any of our farms, many years, the Chihuahuan Desert wins. But thanks to the wonderful breeding and technology of today, we have varieties of cotton that help us fight back. Our growing season often sees only about 8 to 10 inches of rain. We don’t need much rain to grow good cotton out here, we just need it to fall at the right times! Daniel is a multi-generational farmer. His headquarters farm has been in his family almost 100 years. 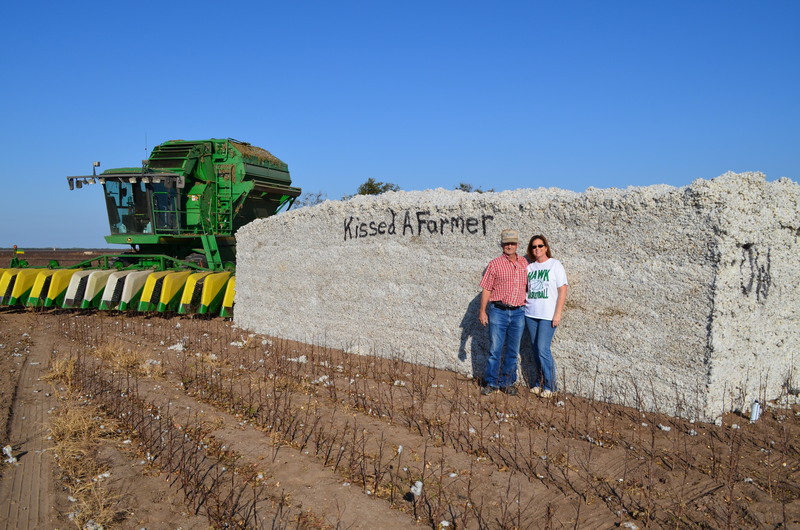 I (Suzie and author of Kissed A Farmer) am the daughter of a second generation cotton ginner and also a crop insurance agent. My son, Billy, has just joined my agency to keep our family tradition of helping farmers alive. Daniel and I have just welcomed our newest of 9 grandchildren, a grandson appropriately named Cotton. Both Daniel and I come from families that have been in the cotton industry for generations. This is the result of living on the edge of what was for many years the “Largest Cotton Patch in the World.” The High Plains of Texas had that distinction for many years, and whether or not some other place in the world might take over that title, around here, cotton will still be King. 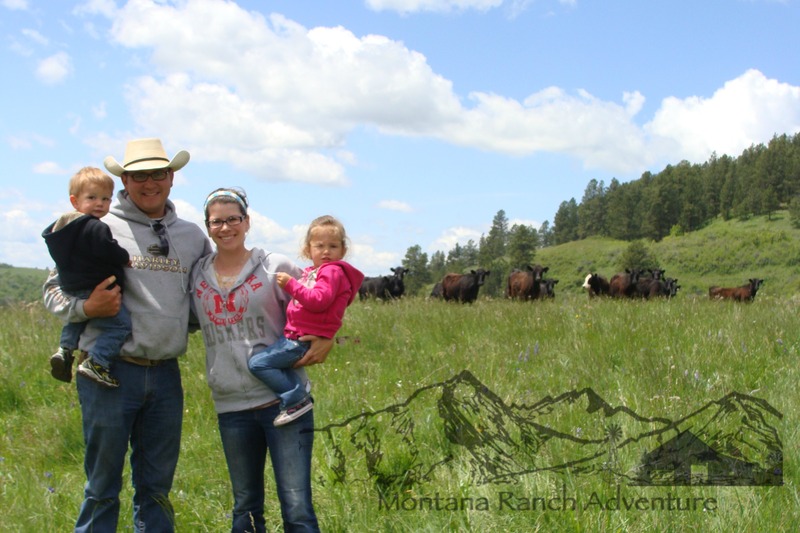 >Justine Kougl and her family are on a Montana Ranch Adventure, named because we are truly on an adventure after expanding our South Dakota-based operation Kougl Ranches. They are now in Kirby, Montana producing the burgers that are our tables and top of the line steaks! And in South Dakota they raise wheat, corn, and sunflowers! What’s one thing that makes your farm unique? One thing that makes our family ranch operation unique is that we recently stepped outside of our normal risk comfort level and purchased a mountain ranch in Montana to run yearling cattle moving away from our South Dakota ranching operation (3rd generation). You have to take risks to be able to achieve reward! For our family the best thing about being involved in agriculture is being able to raise our children teaching them where their food comes from, how it gets to the table and the importance of respecting and taking care of our livestock and the land we use. If you have missed any of the previous posts in the Farms, Farmers and Farm Blogs A to Z series, feel free to catch up on the awesome folks already featured in this project. 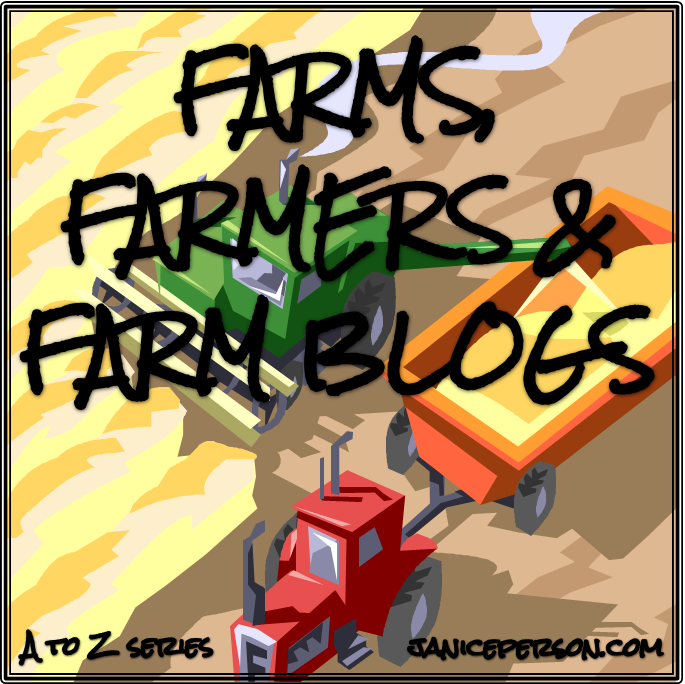 If you want to check out other A to Z posts, the agriculture series highlights kale and the St. Louis A to Z featured the Kemper Art Museum and Kiener Plaza. Come back tomorrow for the letter L! Thanks for so many good observations you share. We’re north of Danield and Suzie Wilde a hundred miles or so. I’ve rented my cotton acres to a neighbor and grandson but still enjoy my first passion, haying. it keeps me in touch with so many who have a caretaker, pastor life in caring for animals. I deliver my hay to a lot of places i’d never dreamed about in the low rolling plains of Texas. Met so many nice people. I hear ya… Love the folks on the plains — rolling, high, etc!